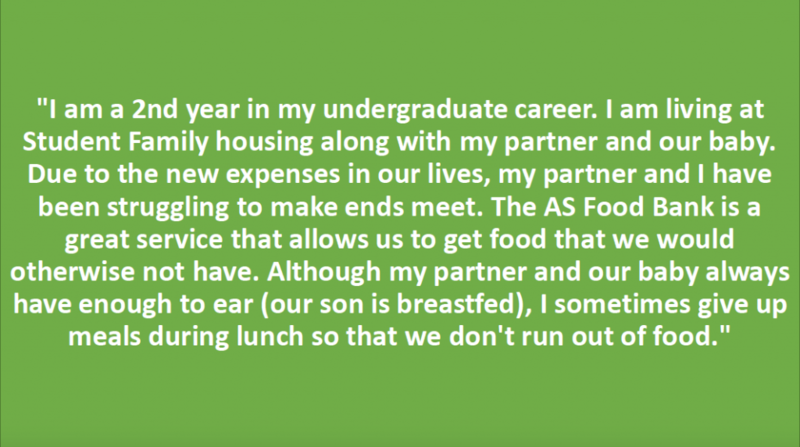 There are various reasons why students come in and utilize our service. 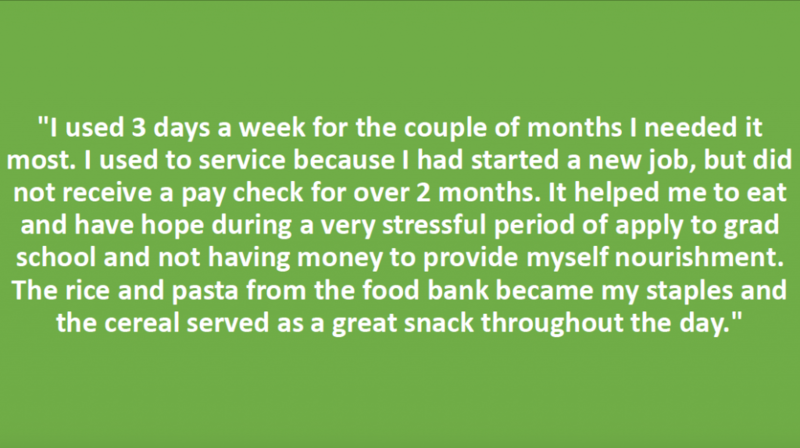 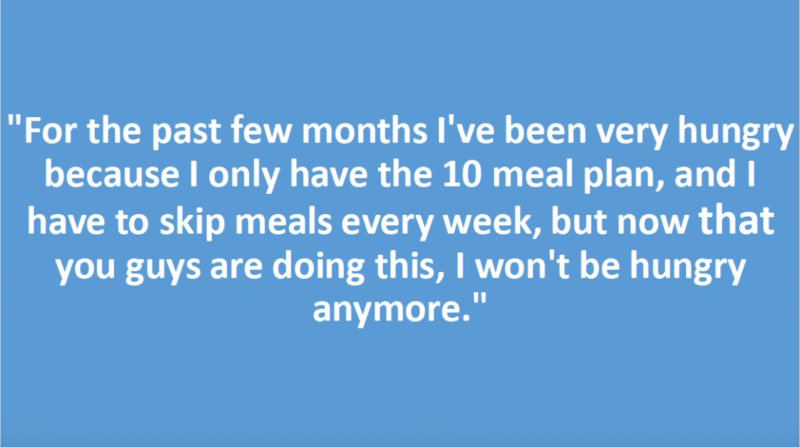 We want to prevent anyone from experiencing hunger at any time of the day or week. 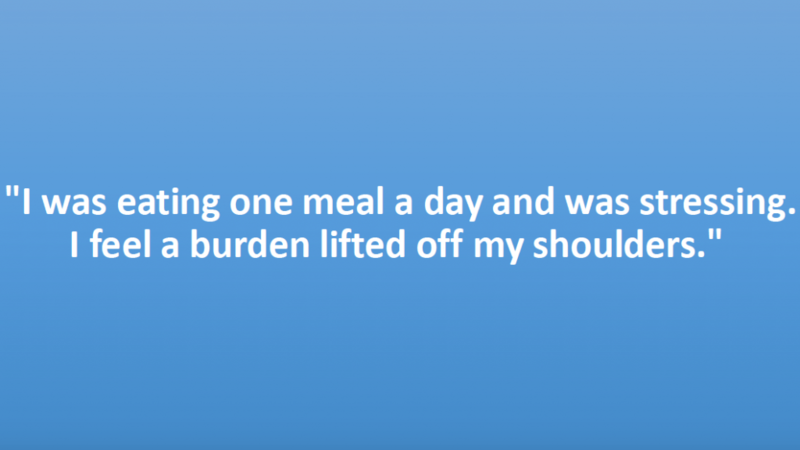 Whether you take a snack for the day on or enough for your weekly meals, we are here to assist you! 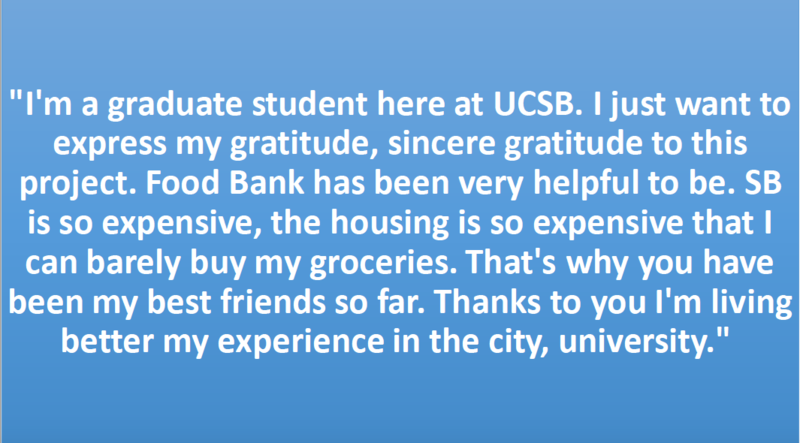 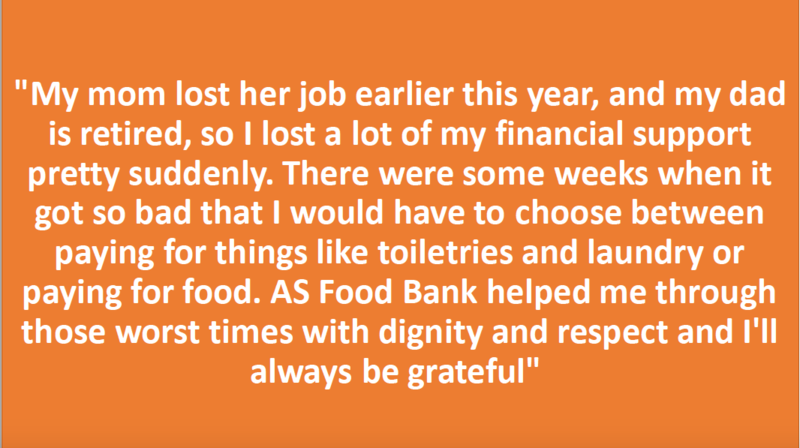 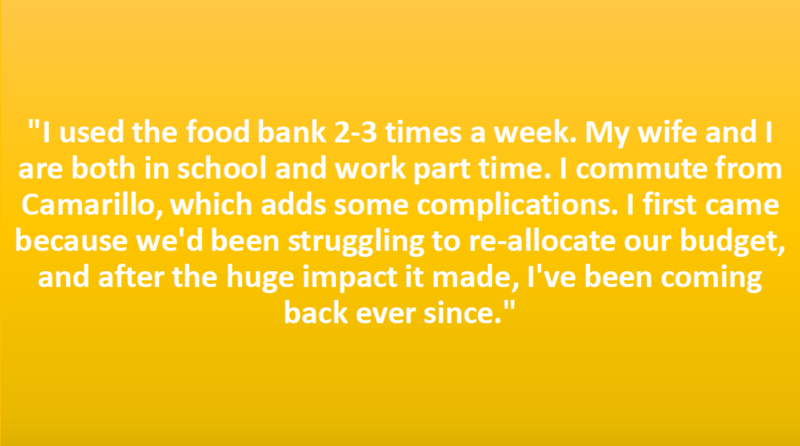 Here are some reasons why students come into the AS Food Bank and if you would like to submit your own, please click here.